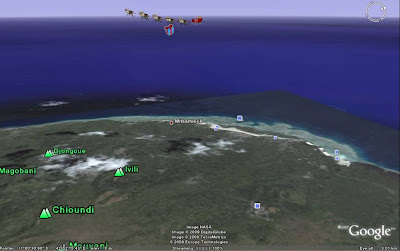 NORAD Santa tracking 2008 - this year integrated into even more Google products! NORAD (the North American missile defence organisation) have been tracking Santa since the 1950's. What started as the result of an innocent mix up has now evolved into an annual tradition, where every Christmas Eve NORAD updates the world on Santa's present delivering progress. 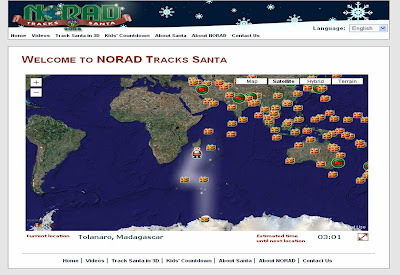 NORAD Santa tracking welcome page! 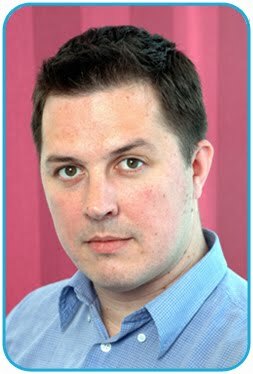 In recent years Google have helped NORAD to enhance their tracking information. 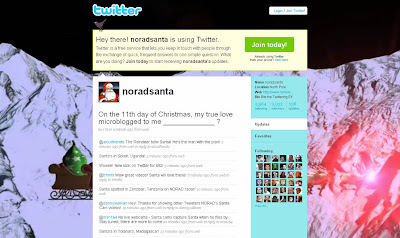 In 2007 Google integrated Google Earth, Google Maps and YouTube into NORAD Santa tracking. This is a great demonstration of how new technologies can improve longstanding traditions. 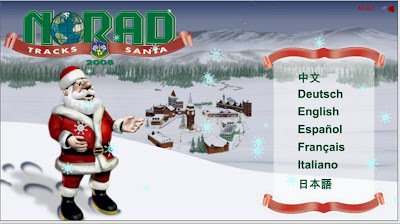 The integration of NORAD Santa tracking to Google Earth, NoradSanta on Twitter, YouTube Santa Cam's and NORAD Santa on mobile platforms brings NORAD Santa tracking to life and enhances the experience for millions of people all over the world - catch him while you can! Santa Cam showing Santa flying over Mount Everest! This is a lovely tradition. It's nice to see fun things like this being done just for the enjoyment factor. I was first informed of this by my grandmother, who was adamant that Google had created a Santa that was flying all over the world. However, she wasn't able to follow my argument when I suggested that it was probably a CGI Santa on Google Earth! Thanks for clearing this one up for me Nick. Have a wonderful Christmas and New Year. The only drawback is if you are in Scandinavia. The presents have already been delivered and opened by the evening of Christmas Eve so you don't get to watch him on the tracker - I guess it is the first stop after Lapland! Hope you have a good Christmas / NY too.